So many lawyers are sick of hearing that they must “innovate or die,” yet their clients call for innovation continues to be loud; and, although not clear, it is clearly resounding. Demand for innovation is old news; now, clients are going even further – requesting in pitch proposals (RFPs) that law firms demonstrate how they have innovated or how they will innovate or be innovative. Even those clients who do not use what might be better called ‘the i-word’ ask for it in other forms, including demanding cheaper, better, faster, services or asking for ‘collaboration’ within the firm, or with other competing law firms or legal services companies on projects and panels. Even more compelling evidence for the magnitude of this call? Clients who say they value innovation by their law firms and reward it or, worse yet, punish firms without it. General Counsels (GCs) have been consistent and clear: “If you don’t want to be an innovation partner with [them], then [they] are going to be inclined not to give you business.” In other words, collaboration towards innovation is no longer a higher standard – it is quickly becoming the standard requirement. True, as I have argued in my book Legal Upheaval: A Guide to Creativity, Collaboration, and Innovation in Law, many clients have not been clear as to what they mean by innovation, nor have they quite figured out how to measure it. True, many law firms are unsure what they or their clients mean by innovation or what the ROI is on investing in innovation. But these – and other – ambiguities have not stopped law firms from answering their clients’ call by investing (in some way, shape or form) in innovation. One way law firms are answering this call is by appointing, identifying or hiring someone in the role of what is sometimes called, the chief innovation officer (CINO), or some other title that signifies this person is the head of innovation. The very first time I heard of the role of CINO at a law firm was in April 2015. Inspired, I decided to investigate. Over the past couple years, I have interviewed more than 100 GCs, heads of innovation at law firms, and law firm partners to uncover what is meant by the hackneyed i-word in the law market, to understand lawyers’ views of innovation, and to explore the role of the CINO at law firms. One of the many questions I sought to answer was whether designating someone as the head of innovation at a law firm is an effective way to meet changing marketplace demands and satisfy clients’ expectations. This article explores that question along with others concerning the CINO role. It is divided into two parts. This part, Part 1, begins by overviewing the goals and roles of a law firm CINO as described to me by my interviewees. Part 2, to be published in January 2019, highlights the holes that I believe exist within and between the goals and the roles. It concludes by providing three recommendations to law firms to help mend the holes so that the roles are better leveraged and the goals are better met. Law firms have grown from hundreds of lawyers to thousands of lawyers, and the conventional wisdom is that this trend fuels dissatisfaction among lawyers. This article scrutinizes that conventional wisdom based on interviews with lawyers who joined large firms through law-firm mergers. These lawyers offer a valuable perspective on firm size because they made abrupt changes from small to large firms. Though some interviewees echoed the conventional wisdom, others suggested that larger firm size has limited or even positive effects on professional satisfaction. In one counter-narrative, large law firms are relatively diffuse organizations that have limited influence over individual lawyers. In another counter-narrative, large law firms helpfully insulate lawyers from the business risks of smaller firms. I offer a framework to explain these varied experiences. The framework highlights the importance of: seniority, practice-area compatibility, local office attributes, and the manner and rate of firm growth. These new perspectives can inform future research and improve advice to law students and lawyers. Numerous sources, including Reuters and the Washington Post, are reporting that President Trump has retained trusted longtime counsel Marc Kasowitz to help with the Russia probe despite Kasowitz having no substantial criminal law experience. So who is he? See the below pie chart and table for details. The Governor of Maine is promoting legislation that would revise how representation for indigent criminal defendants is organized in that state. Rather than organizing a public entity to perform the work, the State would contract with lawyers for individual cases. The story in the Bangor Daily News doesn’t mention this directly, but this would likely save a cat box load of money that would go to government pensions for state employed Public Defenders otherwise. I wonder if Maine would be willing to try this same approach with the Prosecutor’s Office. Probably not. Has anyone ever wondered about the political ideology of the legal academy? I’d say the answer is no only because the bias anecdotally appears to be liberal. Well, someone took the time and effort to measure that bias in multiple contexts. A new paper called The Political Ideologies of the American Lawyer by Adam Bonica, Adam S. Chilton, and Maya Sen seems to confirm just where that bias lines up on a spectrum of left and right. The legal profession collectively lines up somewhere center left close to where Bill Clinton would be (he’s a marker on the chart along with other well-known politicians). Medical doctors and bankers tend to be more to the right. Go figure. The most striking result in Figure 6 is that all 14 top law schools have distributions that lean to the left. That is, there are more liberal alumni from those schools than there are conservative alumni. Not only do all of the schools lean to the left, the skew is fairly extreme in several of the schools. Perhaps unsurprisingly, the University of California, Berkeley has the most liberal leaning distribution of alumni of all the elite law schools. That said, although the ideology of Berkeley graduates skews the furthest to the left, it is obviously not the only school with a heavily left skewed distribution. In fact, all of the top six law schools—Yale, Harvard, Stanford, Columbia, Chicago, and NYU—have a relatively small number of graduates with conservative CFscores. There’s a joke in there somewhere but I’m not the one who is going to make it. There is an in depth write-up of the paper in Quartz. It can be downloaded here. Finally, the EEOC has investigated pay discrepancies between male and female faculty members at the University of Denver and wouldn’t you know it, there is a pay gap. Moreover, it’s been going on for at least four decades. The story is in the Chronicle of Higher Education and the Denver Post. I guess liberality stops at the paymaster window, at least at UD. What Do Legal Employers Want In Law School Graduates? One of the many issues coursing through law schools these days is revising the curriculum to produce more practice-ready graduates. This makes a school’s students more likely to be attractive to firms in that they would need less training on the job to be successful. I attended a panel discussion several months back at the LexisNexis offices here in Chicago that featured librarians from large firms, small firms, and the federal courts. The discussion centered on the expectations each of their respective organizations had for interns and new hires. I found it pretty interesting as we in academics teach research from the perspective of skill and strategies without context. We talk about being cost effective here in the law schools but sometimes I’m not sure our version of cost effective is the same as that as a firm or legal practice. One would think that a firm would like to keep costs down as much as possible while at the same time getting the research right. That may be true generally, but the approaches the librarians discussed varied depending on the research topic and the available resources. The point really is that a student/graduate versed in online legal research should ask how research is conducted at the firm in order to use learned research skills effectively. One of the other things that came up in the discussion was security. That’s something I admit I never really thought about. I’m used to seeing email messages with the standard disclaimer to the effect “this communication is intended for ….” Client privacy, after all, is an ethical issue. Those same issues come up in research where graduates find that they are restricted in where and when research is conducted. I’m sure firm librarians reading this will say “Yes, and?” It may be a shock to students to learn that firms and courts lock down information with prohibitions against thumb drives containing confidential information and other electronic devices that do the same. Remote access to a firm’s system is definitely not as casual as logging into a law library’s database list. Or putting it another way, there is a big difference between what is possible and what a firm allows and how it allows it. Law Schools and individual faculty are in the process of revising their curriculum and classes to address the demand for more practice-ready graduates. But what are the most desired research, writing and transactional skills and how can law schools develop these skills most effectively? An independent survey was conducted by 5 Square Research, Inc. and funded by LexisNexis®, to answer these questions and more. The result is a new white paper, Hiring partners reveal new attorney readiness for real world practice, which shares the responses of 300 hiring partners and associates from small to large law firms practicing in litigation and transactional law. 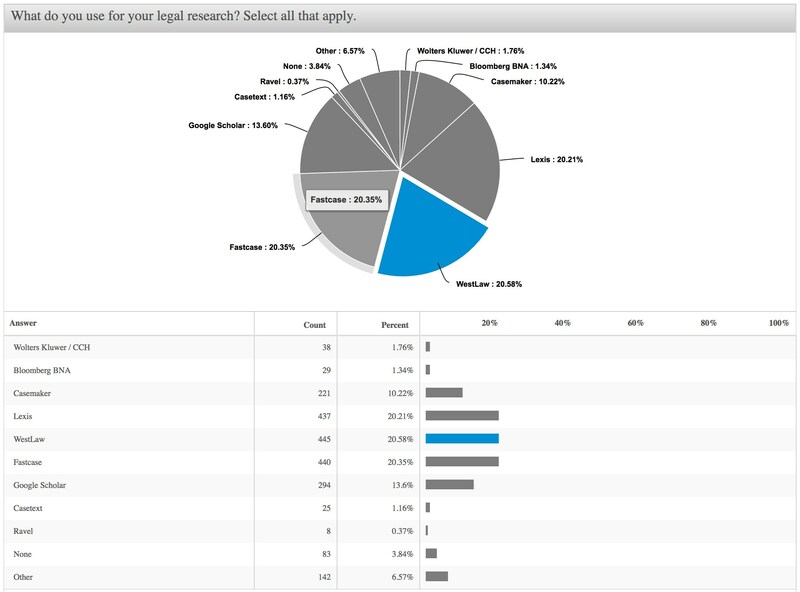 96% believe that newly graduated law students lack practical skills related to litigation and transactional practice. This study reveals the most important and most lacking practical skills desired by legal employers and will help inform law schools of the specific content and tasks they can integrate into applicable classes and experiential learning programs pursuant to employer demand and the new ABA standards. Read the full article with charts, Hiring partners reveal new attorney readiness for real world practice, or view this Executive Overview Prezi*.